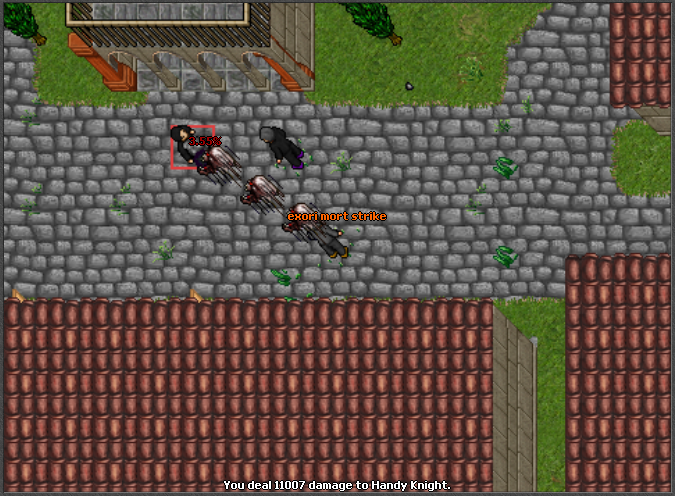 You gain 10% less exp each time you kill a player till it bottoms line to 0% gain to prevent level transfers. Paladin level 15000 spell "exori epic cons" mana cost has been reduced to 84k instead of 100k, this enables more shots at once. Knights level 15000 spell "exori super poison " have received a 30% damage boost. GWE reward has been updated to be 200 Gold Bars awarded to the Leader of the winning Clan. Last joined us: Ali Kina, player number 8432. 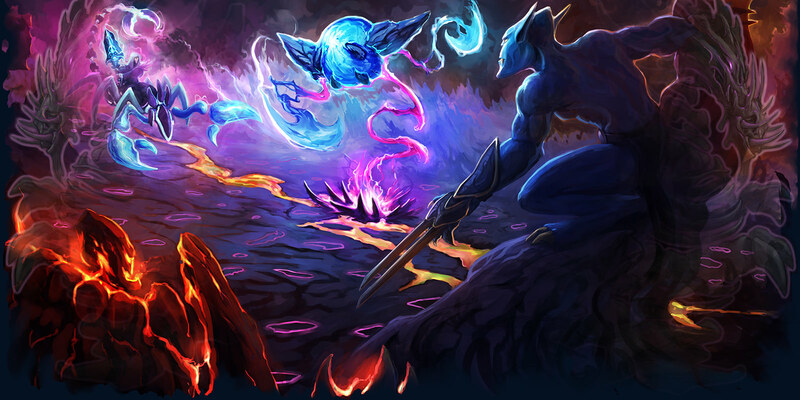 Welcome and wish you a nice game! Currently, the best player on the server is: Warrior (20301). Congratulations! 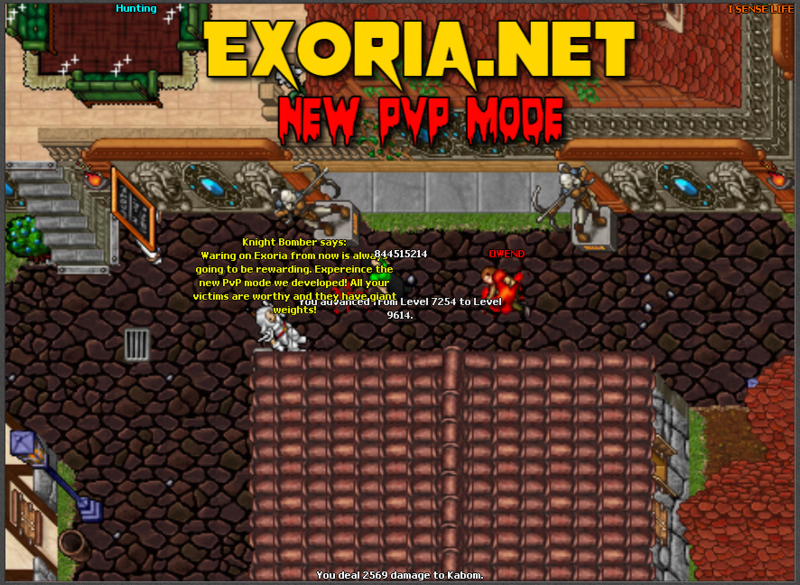 Server motd: Welcome to the Exoria-OT! November 5 2018 - New PvP Mode — Always gain exp from killing, no limits! You talked. We listened! We have updated the exp from players systems and you will now gain unlimited exp from killing other players. The amount of gained exp is based on the value of your target, the more your giant your target is, the more exp you are gaining. Critical Chance now deals 150% of the damage instead of constantly 5% of the target's maximum health and mana. Knight donation weapons animation have been reduced. Mega Bless and Critical Chance animations have been reduced to increase the in-game visibility during battles. Each reborn gives +15 Battle Power now.